One of the things people potentially find most confusing about depression is how to know when you actually have it. So much doubt can run through your head. If I go to the doctors will I risk getting told I’m making a big deal out of nothing? Am I just a grumpy, moody person and nothing will ever change that? This doesn’t feel as bad as last time, so maybe it’s nothing? *Please note, this is my own opinion based on my own personal experiences and readings – for clinical advice, visit this NHS guidance page. How long have you felt down for? The general guidance is if it’s been longer than 2 weeks, you could have depression. However, in some cases you might feel up for a week, down for a week etc. If this pattern extends for a long time, this could also mean you’re suffering with more than a low mood. Is there a good reason for you to feel sad? If you have suffered from a traumatic experience recently, for example the death of a loved one, you may not have depression. You may still need help, but of a different kind. If you’re getting down for no reason at all, this may be a sign of depression. Do you have many physical symptoms of depression? 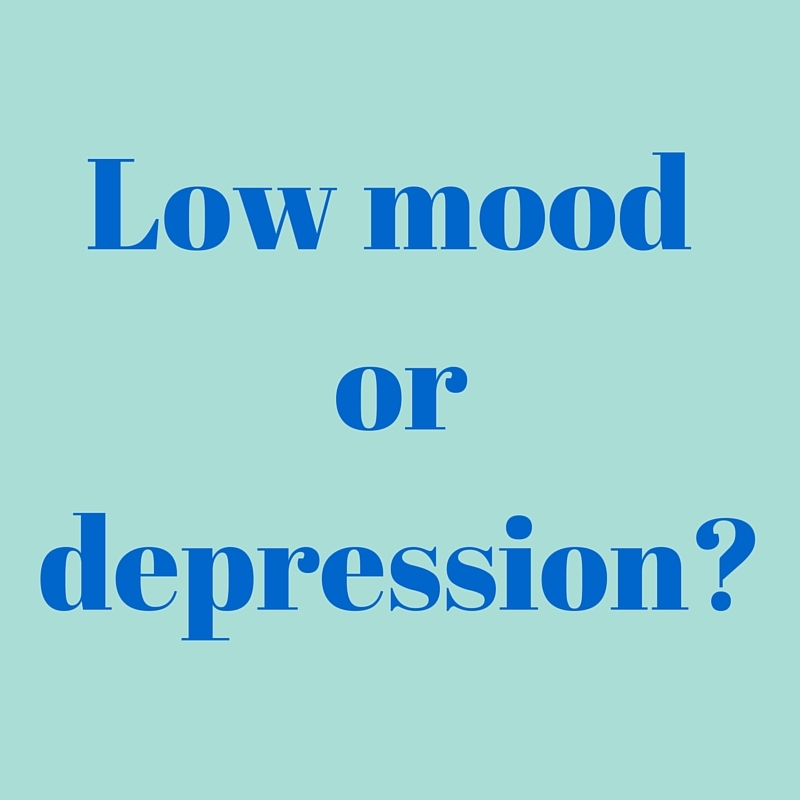 Is your low mood accompanied by energy loss. dodgy sleep patterns and appetite changes including weight loss or gain? If so and the physical symptoms are persisting for longer than usual, this could be a sign of depression. Does talking about your problems, getting more sleep or taking other positive action help significantly? If there is a specific problem in your life, try talking about it with a close friend. For example, if your career is getting you down, talking about it and coming up with a positive action plan may be enough to make you feel better. If there is no specific issue or talking about it makes no difference, this may mean you are depressed. Do you enjoy the activities you used to enjoy? A loss of interest in activities you used to enjoy (for 2 weeks or more) is a symptom of depression. If you’re usually a social person and you suddenly want to withdraw from social gatherings and talking to others, you should consider visiting a doctor. How do you feel about yourself? If you are constantly putting yourself down and telling yourself you are a waste of space for an extended period of time, this is another sign you are suffering from more than a short-term problem. If you are down but you know you are a good person and will get through it, it is more likely you will not need professional help. Are you having any thoughts about harming yourself? If you have any thoughts like this, you need to seek help immediately. If you just are feeling low, you would never consider hurting yourself. Please see a doctor as soon as possible if you are having such thoughts. very good article- as you say I think they are often confused. I would add though that depression can be precipitated by a number of life events – so isn’t always ‘without reason’ as such but often once the life events are resolved the depressive mood will not lift.